Valuable Information to Help Maintain the Beauty of Granite. 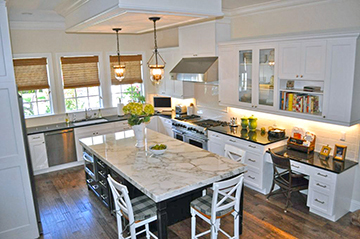 As you saw when you select your Granite, there is great variation in Natural Stones. Marble & Granite are the results of millions of years of movement, pressures and temperature changes within the layers of the earth. Each piece is unique, and the value of the product lies in the individuality manifested in color, hue, veining, sheen and surface. We suggest cleaning your Countertops on a daily basis using anti-bacterial dish soap and warm water. 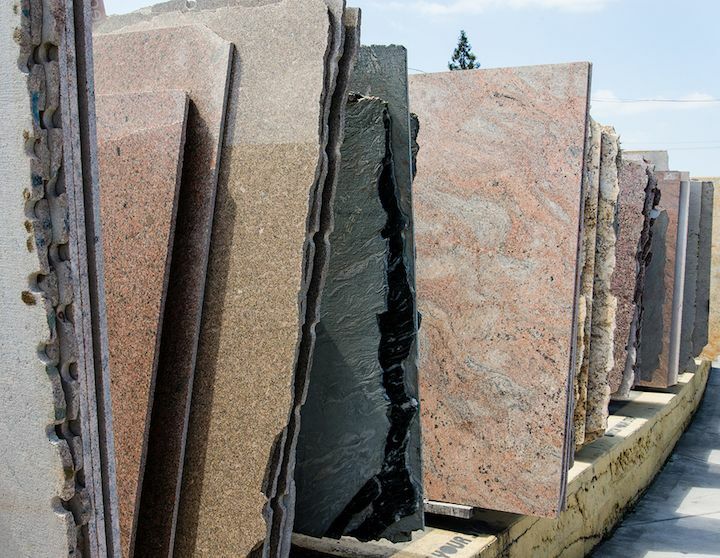 Your granite is delivered polished and sealed. Granite is Natural Stone and therefore porous; sealing it protects it from liquid material seeping into pores. We recommend sealing your granite each year on the anniversary of installation, however, if you use your Countertops heavily, do a lot of cooking, or suspect that your sealant may be damaged, you may seal it as often as you like. Though we do not recommend it, you may choose to use your entire Countertop as a cutting board, or place hot pots on it, you will not scratch or damage the granite this way, BUT you will remove the sealer. In this case, it is important to protect your Granite by sealing it regularly. It is also important to be careful which cleaners you use. We recommend that you use only cleaners that are indicated for use on Natural Stone. Most importantly, you should avoid cleaners that are acidic or contain ammonia or other harsh chemicals. ( some common cleaners to avoid include bleach, Windex and citrus cleaners ). If you want someone to help you clean or polish your Granite if you've left it unsealed, used it heavily or just want some extra shine before you entertain, we offer this stone care service. We employ a team or experts who will help you maintain and bring out the shine and natural beauty of your Granite or Marble.